OK this is not my usual painting. Honestly I used to be a realist–its still in there. This is somewhere in between actually. 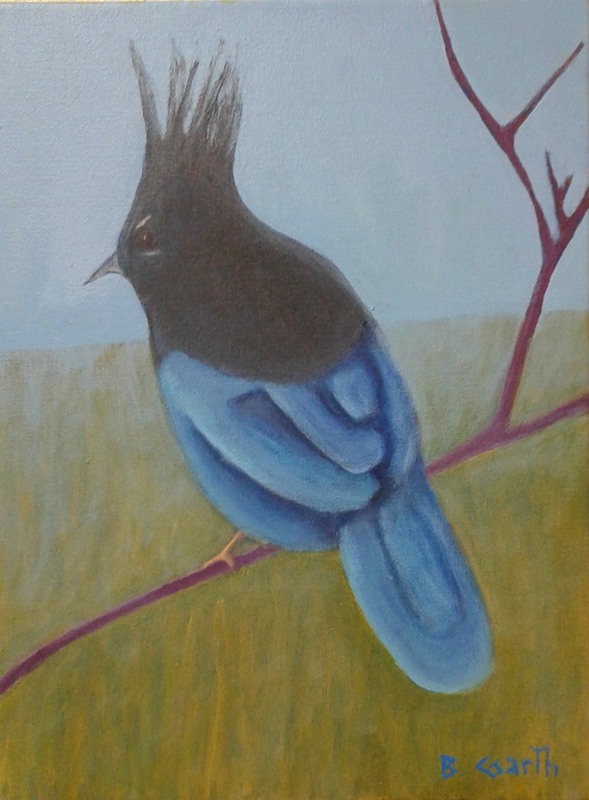 Am thinking I might paint a number of animals to help honor the Earth–as a way to counterbalance my much heavier project re-Hanford. Just worked on it today last minute for the upcoming show about “Birds From the Family Corvidae” by the Angst Gallery in Vancouver, WA. I love birds and other creatures. So it makes sense for me to explore this territory. I may well also do something for an upcoming show in Portland about roses…just because.